Order in next 3 hours and 40 minutes for despatch today. 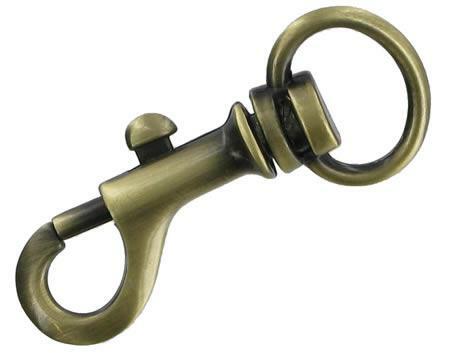 Antique Brass Finish Trigger Hook for straps up to 19mm wide. This replacement trigger hook suits many shoulder straps. It has a antique brass finish. It will accommodate a strap of 19mm in width. Overall length 56mm.